A panoramic view of Toton Yard, with 58020 Doncaster Works leaving with a southbound MGR on 16 October 1986. 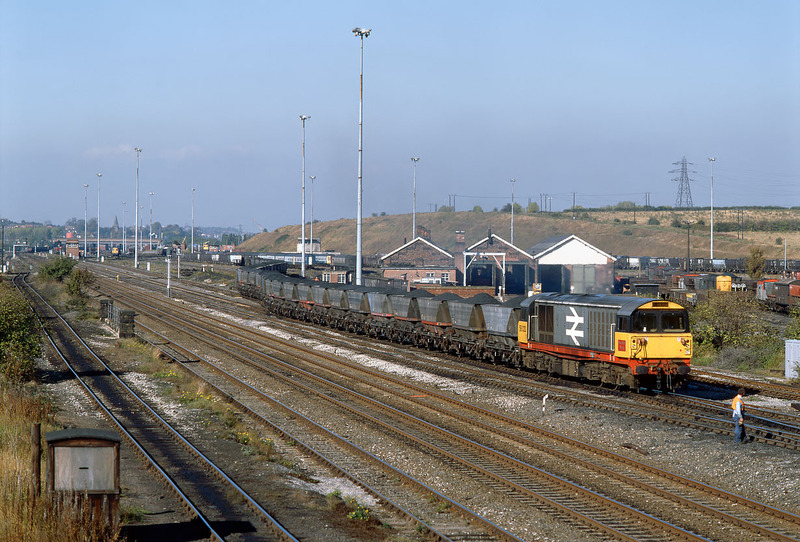 A shadow of its former self, and with the huge hump marshaling yard closed, Toton was still used extensively for staging MGR coal services such as this during the 1980s. Several Class 20s can be seen in the yard, along with withdrawn DMU vehicles and vacuum braked hoppers in the background.